People love to snack from time to time, and for good reason. Everyone's just busy and using up energy! Another thing about snacking is that it increases productivity in the office. How? Obviously, we're talking about healthy snacks here, topped by what else? Nuts and seeds, Good thing these are mainstays in most snack Healthy You Vending machines. Nuts and seeds, for the most part, provide protein that helps increase brainpower, allowing your workers to maintain focus and think more clearly. Productivity is tied to mental capacity, so the more your employees eat brain food, the better they can think, and the more they'll get done through the day! Another productivity-enhancing mainstay of vending machines are dried foods, which can do a great job filling your employees' cravings and recovering the energy they normally lose during the 3pm slump. Figs and raisins are the stars in this department, plus papaya, the common cold-busting tropical fruit, peaches, blueberries, and a lot more. Not to mention these dried fruit snacks also contain vitamin A and loads of antioxidants, so they don't only provide energy, but they enhance immunity too. In productivity terms, that also means less missed days at work. 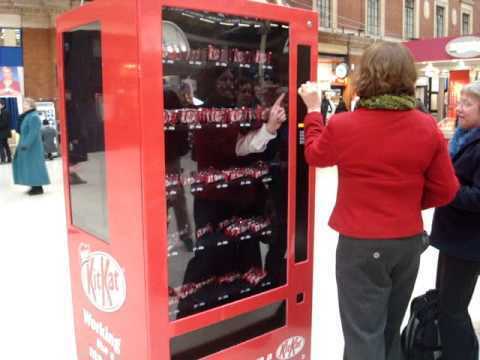 Watch this video at https://www.youtube.com/watch?v=BJaIgAA5N8M and know more about vending machines. Finally, we all know hat alertness means to productivity. An employee who is slow to react to stimuli - for example, an upset customer demanding a solution to a problem - is likely to achieve generally less in a day. That's how chocolates, another mainstay in office Healthy You Vending machines, can help. Dark chocolates in particular are natural stimulants that help people stay alert. In the office, this allows employees to detect and respond to issues or concerns as they arise, rather than taking a while to see that something actually needs attention. Or it can simply mean being able to function as expected one working day after another, instead of drowning in idleness or ineffectiveness. According to a study by office retailer, Staples, more than half of office workers leave their desks to get coffee or snacks one to five times a day, causing up to 2.4 billion hours in lost productivity yearly. No wonder more and more workplaces have vending machines nowadays, and it's clearly not just about refreshment.